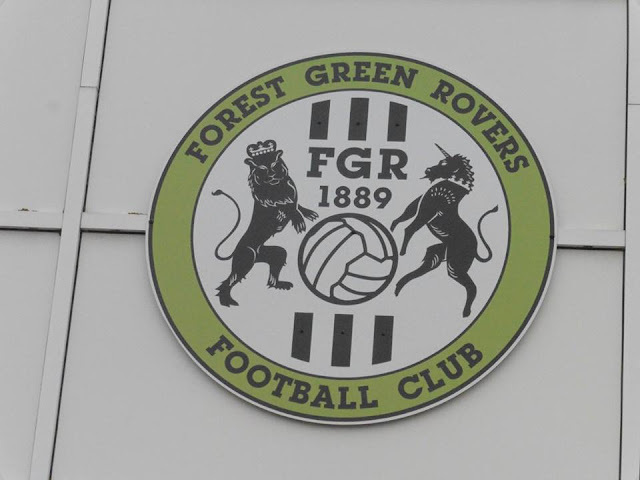 Forest Green Rovers Football Club were formed in 1889. The club were established by Reverend E.J.H. Peach, representing the Forest Green area of Nailsworth. 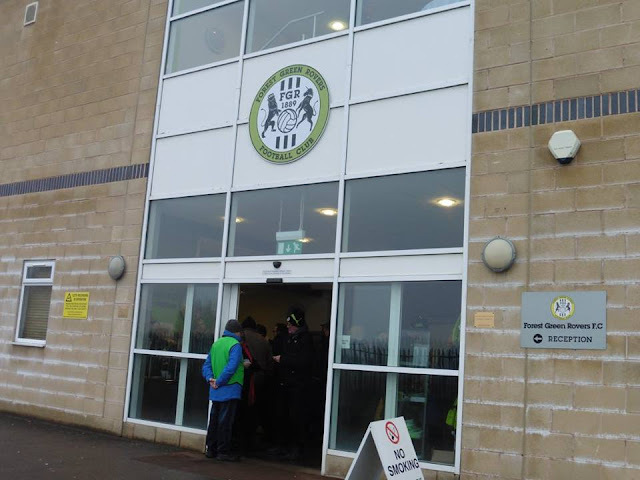 The name Rovers was adopted in 1893, and the following year the club were founding members of the Mid-Gloucestershire League. 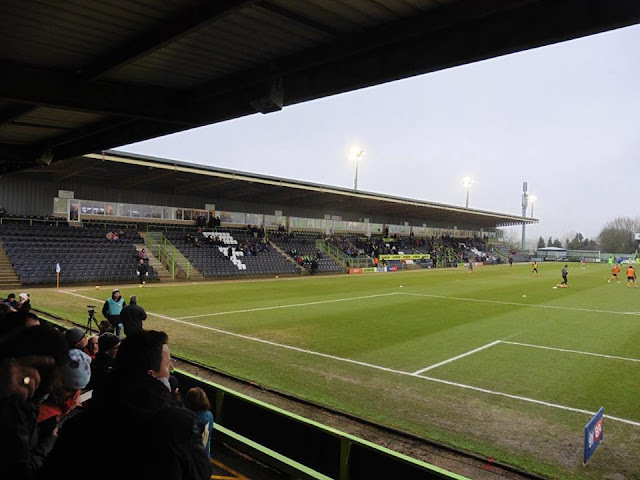 Forest Green's first home match was against Brimscombe in a 1-1 draw, and the club went onto finish 3rd in the 1894-95 season. After the club withdrew from the league in 1897, the club was re-established a year later under the Forest Green Rovers name and absorbed Nailsworth shortly afterwards. They joined both Division One of the Mid-Gloucestershire League and also the Dursley & District League for the 1899-1900 season. 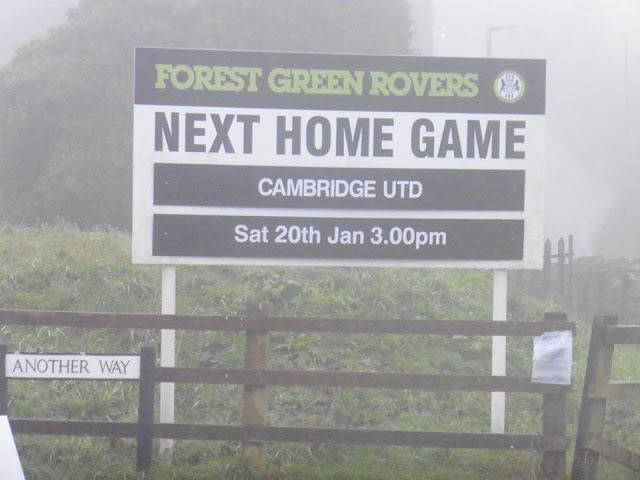 In 1911, Forest Green merged with Nailsworth to form Nailsworth & Forest Green United continuing to play at the Old Lawn Ground in the Stroud & District League, the new club with only losing 1 game all season. 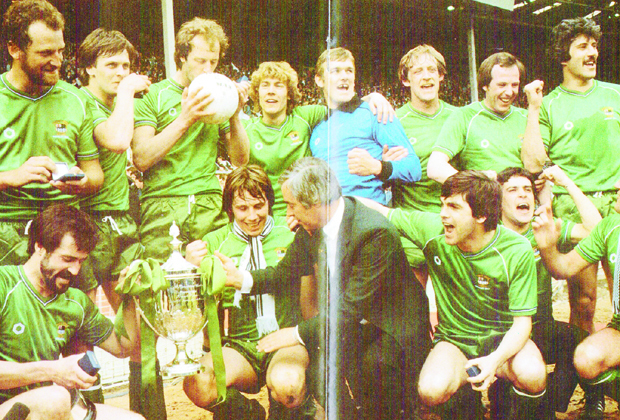 Later on they became Forest Green Rovers. 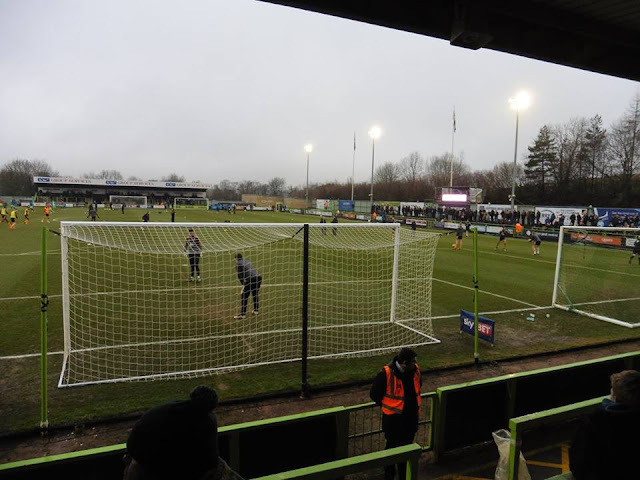 In the 1997-98 season, the club won the Southern League Premier Division securing a 2nd promotion and entry for the 1st time to the Conference. 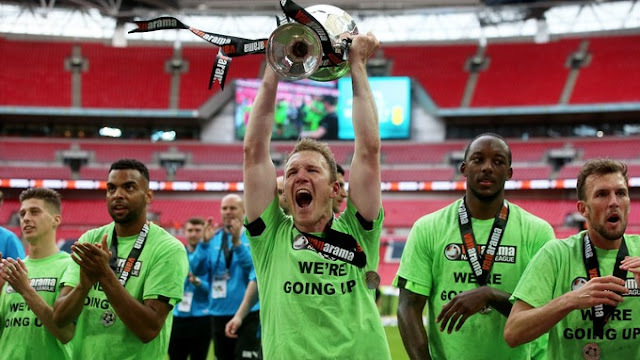 In the 2014-15 season, the club finished 5th in the Conference, losing out to Bristol Rovers in the Play Off Semis. 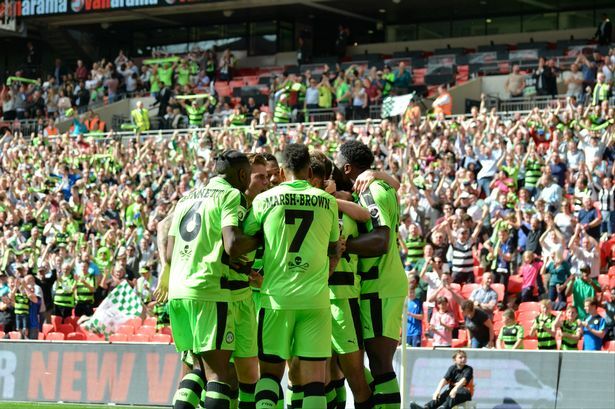 The following season they finished runners-up and lost out to Grimsby Town at Wembley, but finally won promotion at Wembley the following year beating Tranmere Rovers at Wembley 3-1. 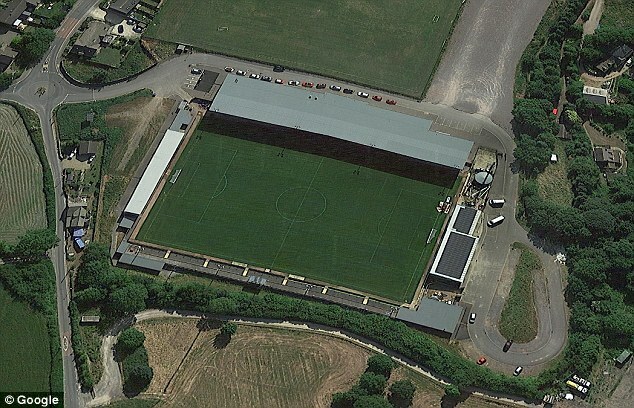 After winning promotion, this made Nailsworth the smallest town to ever host a Football League club. As mentioned, Forest Green used to play at the Old Lawn Ground from 1890 to 2006. It also used to host local cup finals as well as being home to Forest Green Ladies and youth sides. 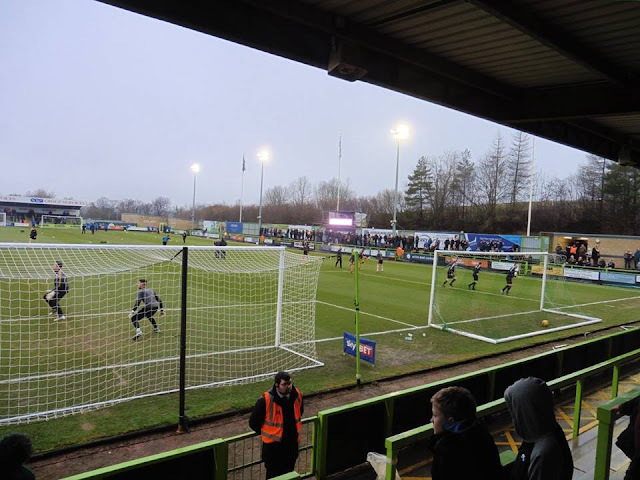 The Lawn Ground was demolished in 2006 for housing and the club moved a few hundred yards to The New Lawn. The club are also the first vegan football club. 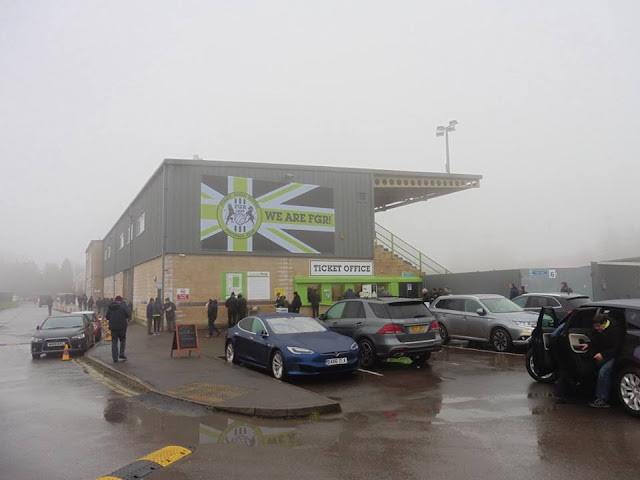 The club was taken over by Ecotricity owner Dale Vince in 2010. 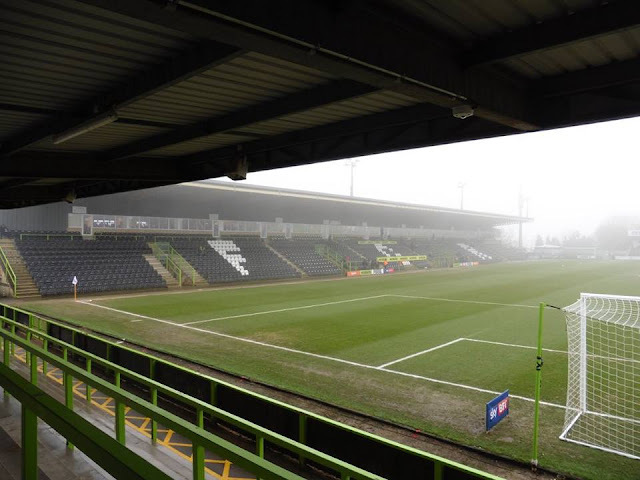 Vince set out plans to make the club more eco-friendly, including removing red meat from the players diets, stopping selling meat products in the ground and treating the pitch with organic fertiliser. 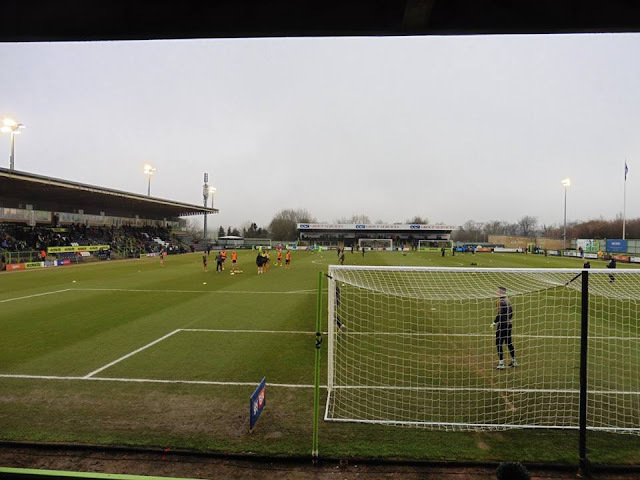 Forest Green Rovers have been playing at The New Lawn in Nailsworth since 2006, whilst also seeking to look to move to a new ground so I've heard online. The ground holds 5,141 with 2,000 seating. 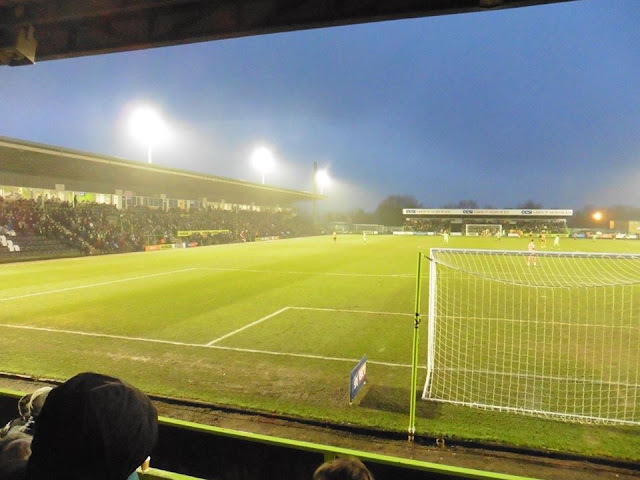 When I went, I was really impressed with the ground, a nice tidy ground. The nearest train station is Stroud, although it's about 5 miles away. 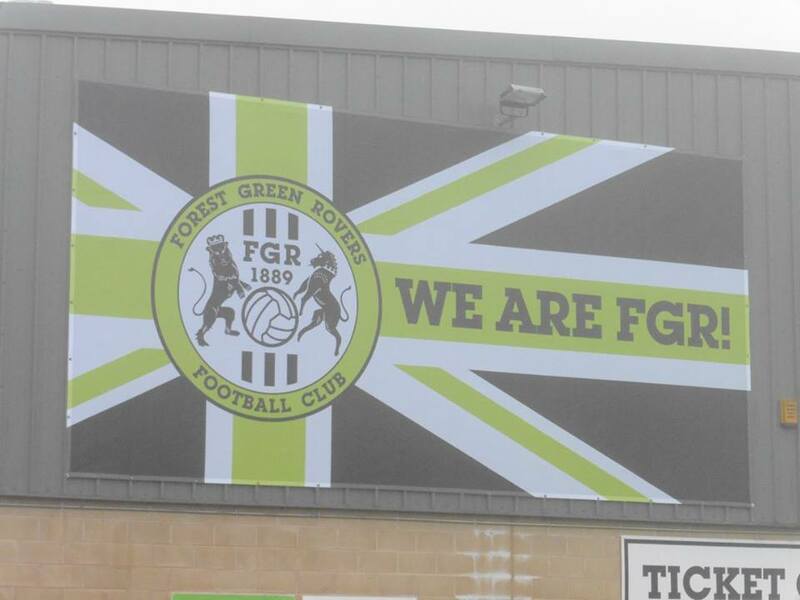 You can get a bus, number 63 from Merrywalks Shopping Centre, straight to Forest Green, takes about 20-30 mins. My first visit to The New Lawn came in January 2018. I hadn't originally planned on going to Scunthorpe with Gillingham as it wasn't a happy hunting ground for me, all the times I've been, it's pissed it down with rain and we've lost. So I decided to give Scunthorpe a miss and continue my path on completing the 92, and it's getting closer as well. I thought I'd give Forest Green a visit, as I've heard it can be a bit of a pain to get to, so I thought I'd get it out the way, but it actually turns out it's not too bad to get to. 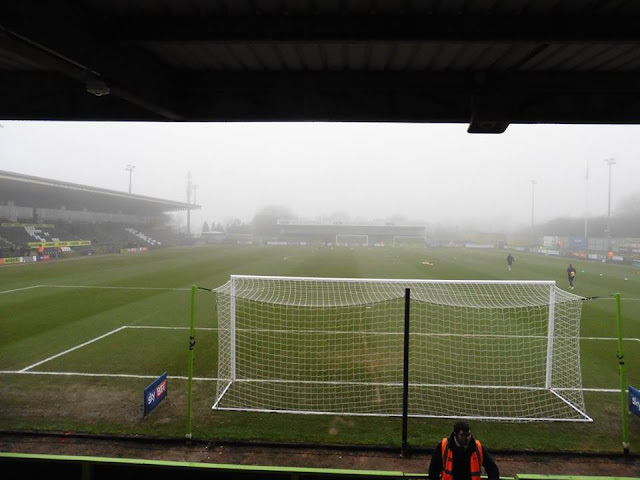 I left home just before 8am, and I arrived into Stroud station, the nearest to the ground just after 12. 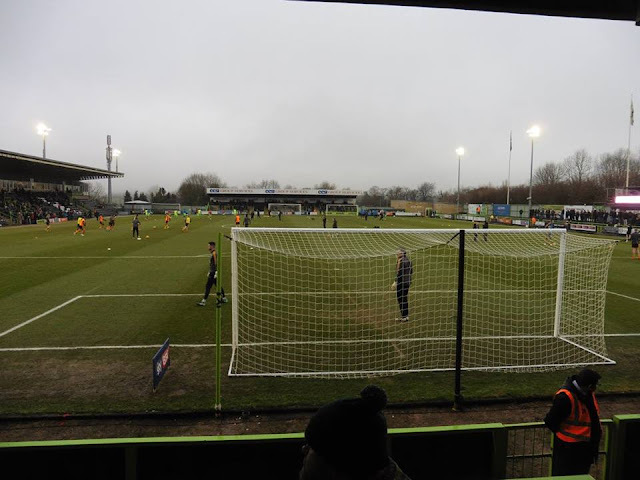 I nipped to Ladbrokes and put some bets on, and made my way to Merrywalks Shopping Centre which is about a 5 minute walk from the station, and got on the 63 bus towards Forest Green, which took about 25 minutes. 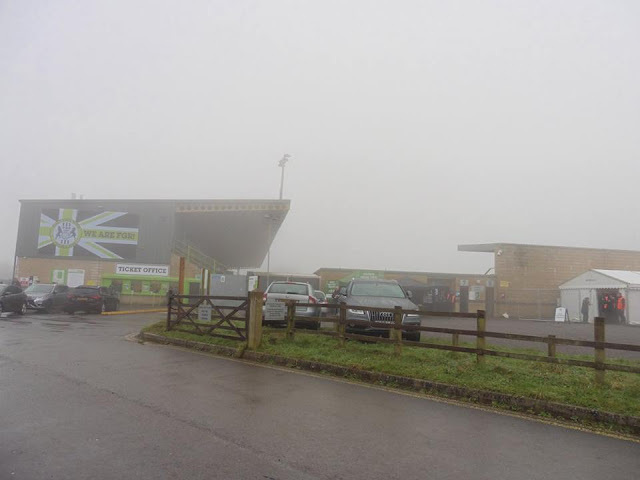 I arrived to the ground at 1.50pm, taking some pictures outside. Surprisingly despite having my bag with me, I walked straight in the ground without being searched, not that I had anything dangerous with me anyway. 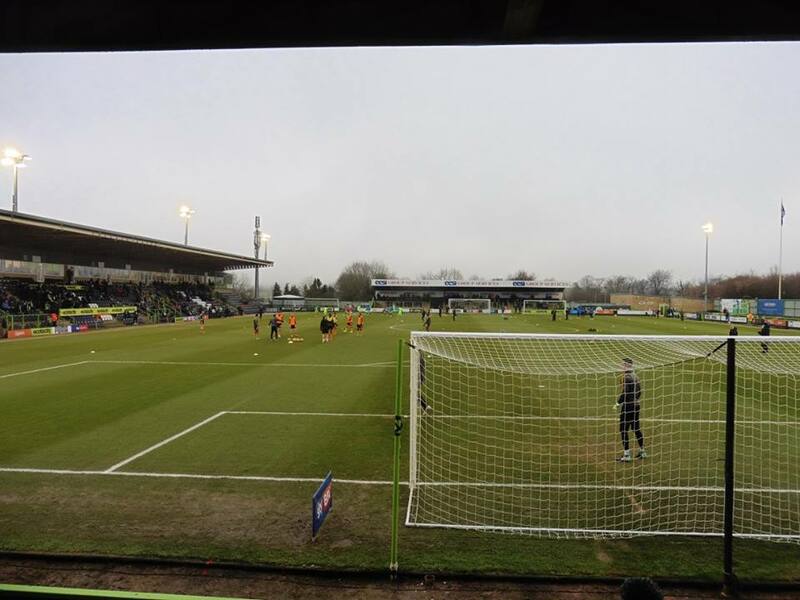 After taking some pics, I went and bought myself a portion of chips for £2.70, a bit expensive but certainly worth the money, one of the best chips I've had a football ground in a long time I must say. 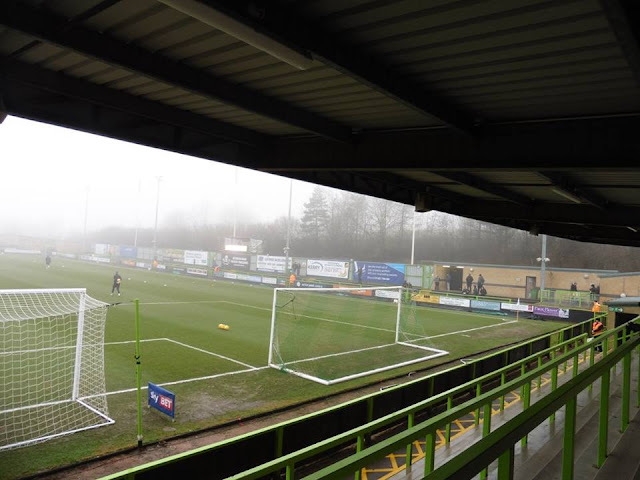 I was really impressed with the ground, a tidy little ground to visit, and a really friendly place as well. The game as well was one I luckily chose the best one to go to. Although I missed Forest Green's 5th goal at the end, seeing 6 goals wasn't a bad choice overall! 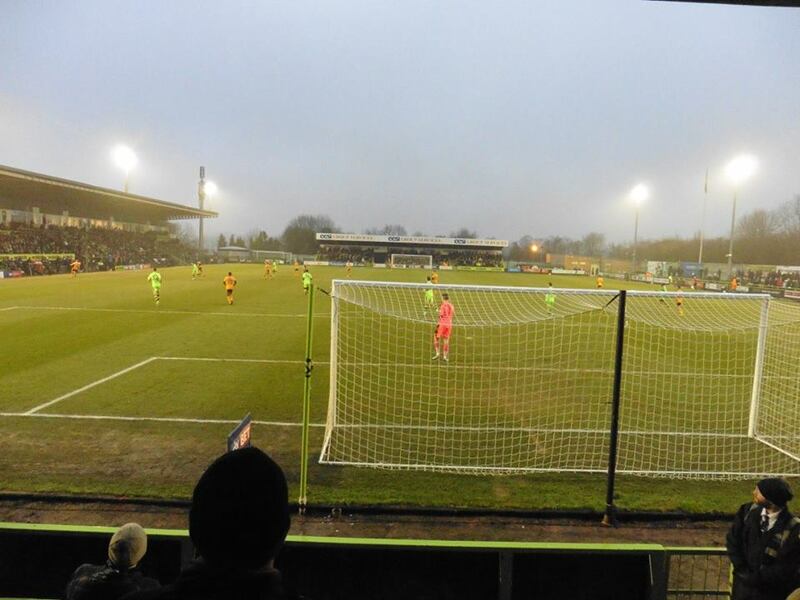 Cambridge started out brightly and looked like they could have gone onto win, but with Forest Green hitting back twice to equalise, they made it more comfortable in the end. I was impressed with the lad Christian Doige for Forest Green, scoring goals for fun for them, a player I wouldn't mind seeing in a Gillingham shirt. After the game, I got in my taxi I booked the night before to take me back to Stroud station as I wanted to be back on the 17.35 train straight back to London Paddington. 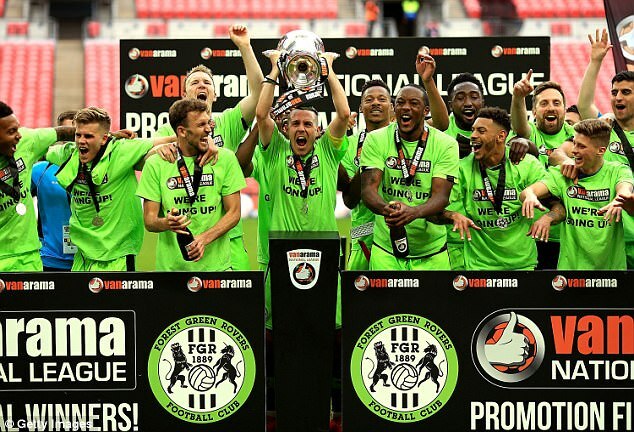 Also hearing as well that Gillingham won 3-1 at Scunthorpe, first win there since 1999 and a 2nd win since 1966, bloody marvellous. Overall a really good day in Forest Green, a ground I would recommend visiting, a nice little ground to visit. I arrived home shortly after 9pm from Forest Green, a good day in all.